All climbers can use better footwork and balance, slack-line training is popular for this. It’s all about proprioceptive improvement: the bodies responsive awareness of space, coordination, and momentum. 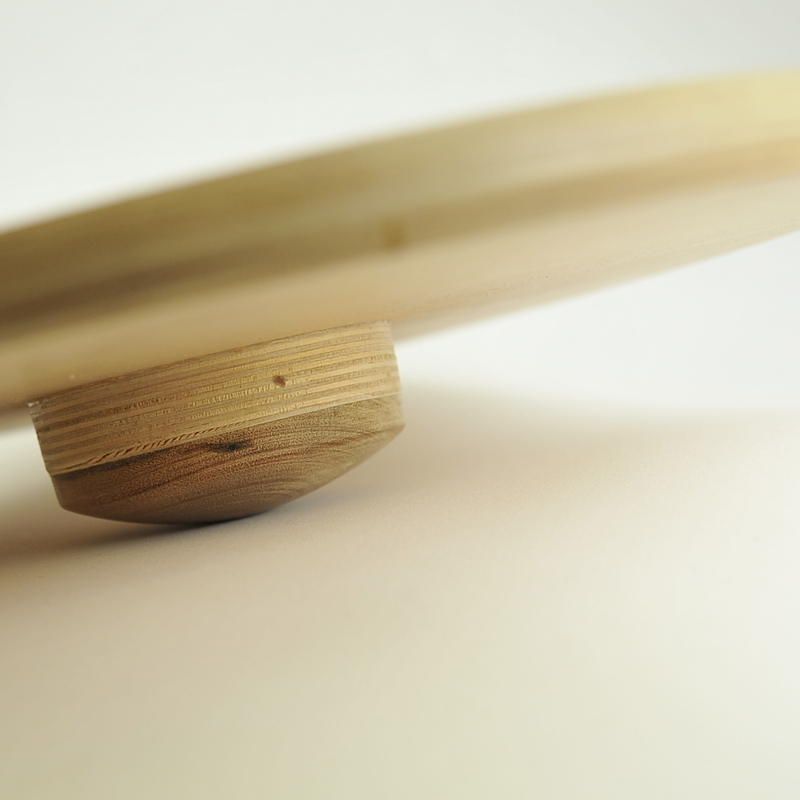 The wobble board is a convenient way to improve your balance, keep it by the phone or jump on when chatting. Our sedentary lifestyles and flat walking surfaces atrophy balance. Fine motor skills like balance and tuning in all leg muscles is going to help climbers performance and avoid injury. usethings / Climb Design elliptical wobble boards are used to challenge and maintain your ability to balance, for agility, and improved reflexes. Our wobble board is hand-made from plantation hoop pine ply (E0) and plantation sugar gum, mostly off-cuts from production. The elliptical shape and “wobble curve” was designed in conjunction with our amazing local chiropractor. You stand on a wobble board to improve your balance reflex as you try to keep the deck level over the domed shape under the centre of the board. Movement therapists such as Pilates instructors, chiropractors, osteopaths, and physiotherapists, use wobble boards to assist their clients in injury recovery, but good balance is helpful in the prevention of injury, for performance improvement in sports, and general well being. One of our clients, Jennifer Newman-Preston Studio Director and Principal Trainer, Pilates International Melbourne uses and recommends our elliptical wobble board in her studio and Pilates instructor training. Jump this link to see more and purchase our wobble board.